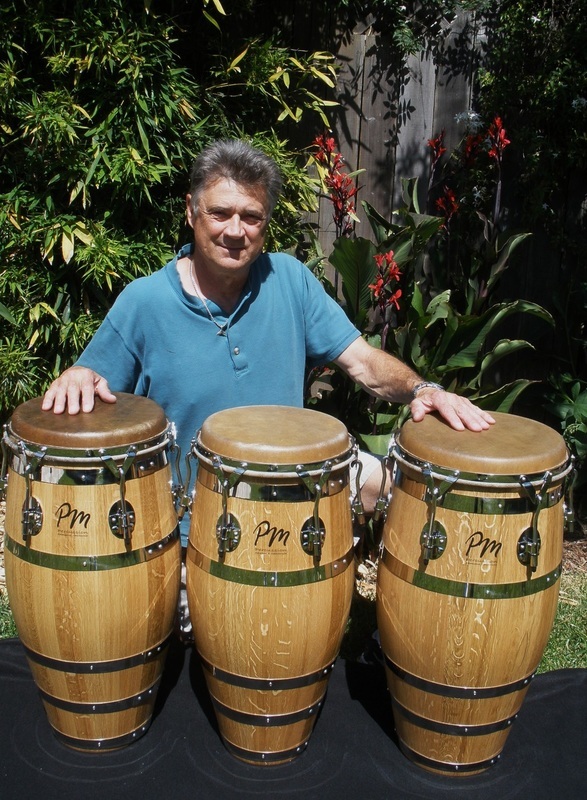 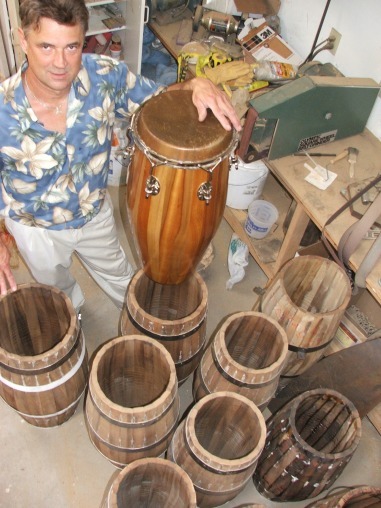 Peter Musser designs and crafts all parts of these unique hand-made tumbas, congas, and quintos. 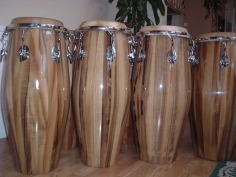 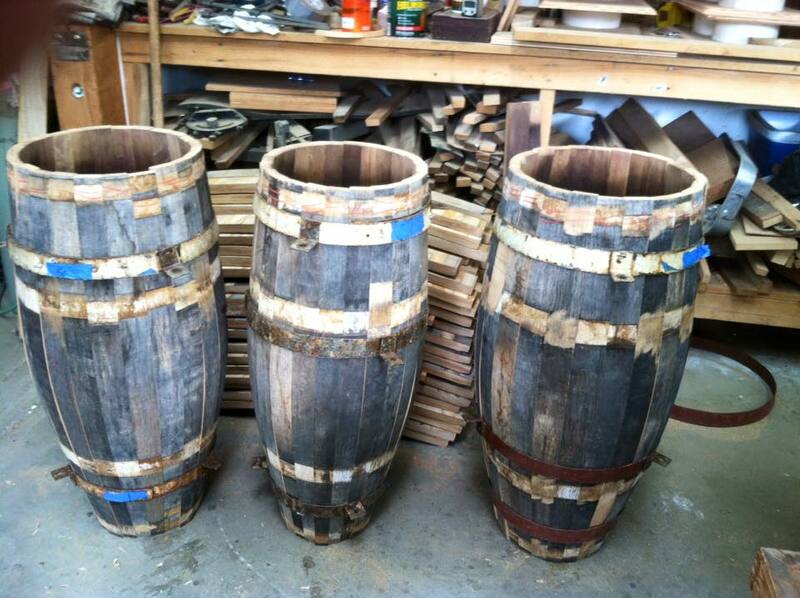 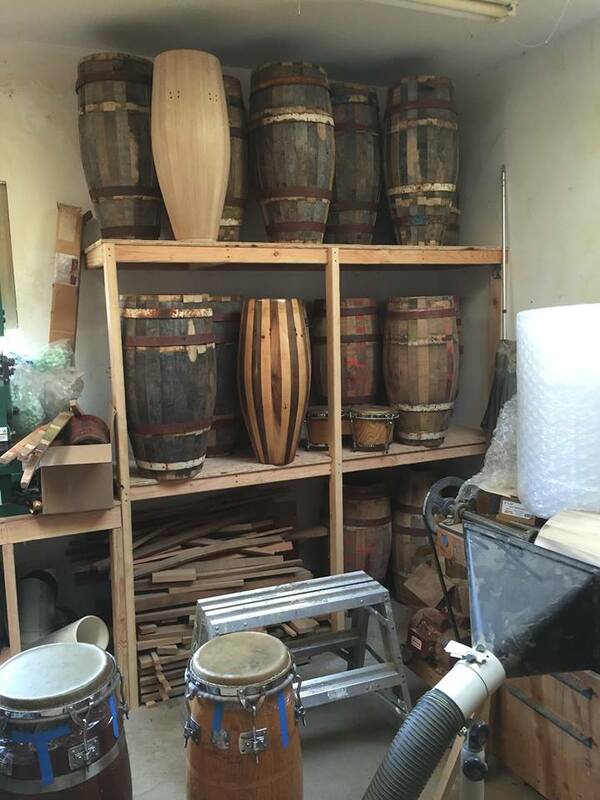 Seen here are drums made of pepperwood from northern California and Oregon, a species with wonderful resonant tonal qualities and unique grain patterns not found in other wood. 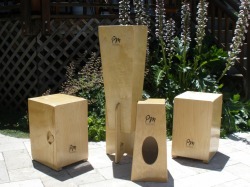 Drums can be custom-made for your individual preferences. 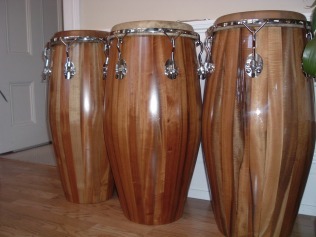 Each custom-built drum is dated and numbered.